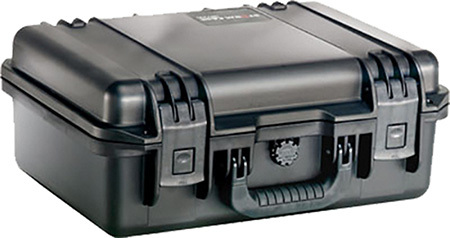 Buy Pelican IM2200 Storm Medium Case HPX Resin Black 16.2 x 12.7 in. Pelican IM2200 Storm Medium Case HPX Resin Black 16.2 x 12.7 in. x 6.6 in. (Exterior) in. This Pelican Medium Storm Case features two press and pull latches doublelayered soft grip handle two padlockable hasps Vortex Valve flush powerful hinges is made of a lightweight strong HPX Resin and is watertight. This models interior dimensions are 15 x 10.5" x 6"."